In the cosmetics industry, water is the main ingredient, first of all quantitatively, but also because of its importance in formulation and its role in skin physiology. This water story is told by Jean-Claude Le Joliff. Generally, the list of ingredients in a cosmetic begins with the term"Aqua/Water". This list is based on concentrations in descending order, which means that it represents a high proportion in formulations. It is also a criticism regularly heard that cosmetic products only contain water. This is a poor understanding of its role and importance in formulation. For example, a cream may contain 60 to 80% water, lotions, shower gels or shampoos up to 95%. Its proportional importance therefore makes its quality paramount. Ordinary' water such as tap water, which has been used for a very long time, and perhaps even longer, has been regularly replaced by water on which certain purification treatments are applied, and for closer to us, by what can be called special waters. Fundamental liquid, source of life, it is perhaps the most important ingredient on earth. The term water Latin derivation aqua via oïl languages, like the word ewes . The term aqua was then used to form a few words like aquarium . An aqueous mixture is a mixture whose solvent is water. The prefix hydro derives from the ancient Greek ὕδωρ (hudôr) and not ὕδρος (hudros), which means"water snake". Hydrogen oxide or hydroxyic acid may also be used. What is its interest in cosmetology? Physiologically, as everyone knows, it is an essential ingredient. The skin is composed of different compartments in which water is one of the basic constituents. At the epidermis level, even if it is the compartment least rich in water, it plays an important role in the structuring of the various elements constituting what is called the"barrier effect". This barrier effect is responsible for various essential functions, such as regulating body temperature by adjusting the insensitive water loss. Or more specifically by organizing the structural lipids of the skin, phospholipids and ceramides, in order to maintain an important cohesion. Remarkable plasticizer of the stratum corneum (the outermost layer of the skin), water is at the origin of skin comfort. If the character of"dry skin" is not quantitatively related to water concentration, the regulation of water movements is the origin. At the level of the dermis, it constitutes the basic ingredient of the fundamental substance, called extracellular matrix, in which the various elements composing this compartment appear: fibroblasts, structural proteins, muccopolysaccharides. But, as everyone knows, it is not by bringing water to the skin that we can interfere with these processes. It is therefore not at this level that the issues concerning the quality of the water used in the products are situated, but mainly at technical formulation levels, or even sensory perceptions or in the processes. The use of water in formulation dates back to ancient times, but has become increasingly important as industry has gradually replaced the concept of"ointment", composed mainly of mixtures of fats, with emulsions that are mixtures of fats and water. The oldest emulsions used in our crafts are probably products made on the basis of the so-called"Galen Cerat", an excipient made by mixing floral water with beeswax. This concept has been used since the late nineteenth century to make products called Cold Cream. Water-based creams have organoleptic characteristics that are more pleasant to use, the application being fresher and the greasy and shiny effects on the skin less marked. From then on, the use of water became a constant and its importance reinforced by the increasing use of continuous aqueous phase emulsions in which water constitutes the majority ingredient. More than regulatory concepts, the quality of the water used in the manufacture of cosmetic products is an important part of its use in this type of products. Indeed, if the first products containing water were fat products containing little water, the appearance of a type of formulation that has become an almost unavoidable reference in the world of training, stearate creams, has had a great impact on the definition of water quality used in these systems. These soap-based formulas, alkaline stearates, have the characteristic of being extremely sensitive to water hardness, i.e. to its electrolyte content. Nothing is more effective in releasing soap than a calcium electrolyte. This characteristic has been reinforced by the use of another type of generic ingredients, gelling agents based on acrylic polymers, which are gradually becoming unavoidable. More commonly known as"Carbomer", the first qualities of these products were also highly sensitive to water hardness, thus reinforcing the need for water of constant quality. This is why, little by little, the industry has had to put in place purification means to stabilize water quality in terms of composition, in order to guarantee good reproducibility in production. The first treatment that was applied was the use of a water softener. A water softener is a device that reduces water hardness by reducing the amount of limestone (mainly calcium and magnesium carbonates) suspended in the water. In this technique, calcium ions are replaced by more soluble sodium ions. The device requires permanent regeneration, and a significant quantity of water is discharged, greatly reducing yields. Very quickly, this technology was replaced by demineralization techniques on resins, called ion exchangers, allowing better yields and a more constant water quality. Ion exchangers are insoluble granular substances whose molecular structure contains acidic or basic radicals capable of exchanging the positive or negative ions"attached" to these radicals. These ion exchanges make it possible to modify the ionic composition of the liquid under treatment, without modifying the total number of charges existing in this liquid before the exchange. Ion exchangers were first natural earths (zeolites), then synthetic mineral compounds (silico-aluminates) and then organic compounds, the latter being almost exclusively used today under the name of resins. They are presented either in the form of grains or, for the majority of them, in the form of balls. We distinguish the skeleton from the resin and the active sites grafted onto this skeleton. Currently, three types of skeletons exist industrially: polystyrene, acrylic and formo-phenolic. By convention a resin with anionic grafted active sites is called a cationic resin since it allows cation exchange and vice versa, and this R-Ca or R-Na resin is noted depending on whether it is charged with Ca 2+ or Na + . These techniques work relatively well and provide satisfactory water quality. However, water discharges and especially yields are ongoing issues. At the same time, some companies have opted for distillation. This is the oldest method of purification. This technique, which purifies water by boiling followed by steam condensation, produces very pure water. It is also the one that could be used to purify water in the laboratory. Economical, this technique cannot be used for processes using water on demand in large quantities. The water must then be distilled and stored for later use, which seriously complicates operations. At the end of the 1980s, we saw the development of a rather sophisticated technology, instituting reverse osmosis. It is a very fine filtration process that purifies water. Often referred to as RO, reverse osmosis is the most refined level of liquid filtration. Instead of a filter, it uses a porous material acting as a unidirectional sieve that can separate the molecular size particles. The water passes first through a filter that retains any particles and then through an activated carbon filter that captures chlorine. Finally, it passes through a very thin membrane that separates the pure water from the waste water carrying what remains of undesirable elements and minerals, and sends this water into the wastewater circuit. The osmosis plant consumes an enormous amount of water: it discharges an average of four litres of water for every litre of osmosis water produced! This phenomenal consumption is necessary to avoid membrane clogging. However, since it is difficult to treat hard water, installers sometimes recommend installing a softener to allow calcium-free water to enter the osmosis plant. Technologies have gradually become more sophisticated, and these different processes can be found in industry according to needs and means. In the end, these installations cost enough to produce very high purity water, although technically and legally speaking, there is no obligation to use very high purity water. But the most important question regarding the use of water in manufacturing operations is about instant yields and the most immediate consequence: microbiological contamination. Indeed, none of these systems makes it possible to have instantly available quantities of water to satisfy manufacturing operations. This question of yields is therefore difficult to manage, as the instantaneous flows required in manufacturing operations lead either to storing water or to setting up facilities that are disproportionate to their use. Storage has generally been the preferred solution. But because of this, the microbiological cleanliness of water, often misrepresented as the essential factor in the need to treat water, has become a permanent problem. Indeed, given the instantaneous water needs during manufacturing operations, purified water is often stored because it is difficult to feed continuous manufacturing machines at the outlet of purification plants. This purified water is very fragile. The fact of storing it leads quite regularly to it being contaminated by resident germs. This contamination is also often reinforced during resin treatments, by the fact that these resins are able to bind microorganisms present in the network water and allow them to grow, which has the consequence of contaminating the water during purification processes. It is well known that the presence of water is an aggravating factor with regard to the microbiological cleanliness of preparations, and all these considerations, purification plus microbiological protection, has led to cosmetic industries often equipped themselves with extremely sophisticated water treatment plants. It is not uncommon to find installations combining a purification technique, then storage at room temperature or high temperature, all maintained in permanent agitation in a loop circuit in which decontamination stations are inserted, such as sterilizing or ionizing (UV) filtration. These installations become major constraints and, contrary to a widespread idea, the water used in formulation becomes a substance with a significant cost. Good Manufacturing Practices, GMP, also apply to this ingredient. For more information, please consult the document proposed by CosmeticOBS - Observatoire des Cosmétiques and carried out following the first Cosmetic Quality Meetings, organised on 30 March by IFIS and FEBEA, where Pascal Moreau, Quality Director of BCM Cosmétique, gave an update on the subject. A perhaps somewhat less common and less known use of water is its role in manufacturing processes. Indeed, in the form of steam, it is often the heat transfer fluid used to heat manufacturing machines, melt ingredients for blending, etc.. It is also the heat transfer fluid in cooling and thermal control procedures during manufacturing. Finally, it is also the basis of sanitization processes during manufacturing, machine and local operations. Given the importance now attached to the environment, this issue is at the heart of many CSR (Social and Environmental Responsibility) type of walking, in which water management has become a central issue. In particular with regard to waste water. This is how a manufacturing process develops around these problems, called Cold Process, which consists of trying to manufacture the products without heating to preserve the quality of the ingredients and the finished product, and consequently avoiding cooling procedures. This leads to water discharges into the industrial environment being reduced as much as possible. Another process known as LES for Low Energy System goes in this direction. In this process, only the ingredients are heated to melt and then a concentrated emulsion is made with part of the water in the formula. The remaining water is then added cold to the concentrated emulsion, which helps to lower the temperature and bring it to room temperature. Purified and sterile, water brings nothing in itself, and is thus often called a"dead" ingredient. Which is not true. Water has long been used mainly as a solvent. It is indeed incomparable for dissolving originally solid assets. You experience it every day when you throw a lump of sugar in your cup of tea. But the sensory properties it confers to the systems incorporating it make it a central ingredient. Finally, although it can be purest, and even 100% natural, and even not have undergone any chemical treatment, water can never be qualified as biological. Simply because it is not"grown" according to organic farming criteria. Given its high percentage in products, this is a real handicap, especially for organic cosmetics, especially when it comes to displaying the percentages of ingredients from organic farming on the label ! Not to mention special waters, such as thermal waters, used ancestrally to treat skin problems. In the last 15 years, therefore, the use of water types other than"running" water has become widespread. The solution came from floral waters for organic or natural cosmetics. Because they fulfil the same role of solvent as pure water, but they are derived from a plant element which can sometimes also act as an interesting active ingredient: purifying, astringent, hydrating or balancing. Finally, the plants from which they are obtained having been grown under organic conditions, they meet the certification criteria. They may also be of'organic quality'. The use of thermal waters is less recent, but the profusion of brands resulting from this positioning has made them more permanent. Finally, in this trend, a whole series of particular waters have been the subject of specific developments. To date, several categories of water can be distinguished. - Running water, still a large majority. - The foral waters, obtained by hydro-distillation generally from flowers: the best known and most used for a long time will be rose water (Galien Cerat), blueberry water (specialities of the eye contour), hamamelis water (Which Hazel which will give Hazeline Snow, probably the first stearate cream), but also many others. - Thermal waters, spring waters or spring waters with a specific composition and often used for a long time: Vichy, La Roche Posay, Avène, marine spring, etc. The use of thermal waters in cosmetics has been very successful, and many specialties offered by leading brands exist on the market. Beyond the pure thermal water vaporizers, which have a real interest, there are many types of preparations. In some cases, the effects could be formally demonstrated (see here , here , here and here ). The L'Oréal group is very committed to these approaches Thermal waters also find new applications with regard to skin microbiome and associated skin diseases. A French study on 55 patients compared the action of two different treatments to treat inflammatory lesions. On the one hand, a classic antibiotic (Erythromycin 4%), on the other hand a dermocosmetic product based on thermal water. In both cases, there is a significant improvement in acne. But a closer look reveals that if the antibiotic reduces the proportion of P. Acnes, the thermal water-based product reduces both the number of P. Acnes and Staphylococcus, an associated germ that is in fact more quantitatively important than P.Acnes in acne cases. This type of work is only at the beginning and it is likely that confirmations will be made in this direction. - Fruit water: obtained by dehydration of fruits or plants. - Special waters: from various origins, such as sea water, glacier water or exotic origins of this nature. • France thermal waters (1/2) • France of thermal waters (2/2) • So much water, so much water… in cosmetics! • Sea water by Seltag • Floral waters by Codif Natural Technology • Composition waters by Gattefossé • Eaux-Mères© : an original approach to water in cosmetics Finally, let us quote a few particular, unexpected or unusual uses, and this in families of more improbable products like lipstick powders. For the lipsticks, we can read again this contribution of the Cosmetotheque . For powders, there has been a formulation technique for"transforming" water into powder for several years. It is not a question of making table salt, but more exactly of absorbing a certain quantity of water in a specific acrylic polymer. This operation produces a"wet" powder. This powder is then dispersed in a conventional powder medium, talc for example, making it possible to incorporate a fairly significant dose of water, up to 20%, into a powder matrix. In use, when the product is rubbed, water is released, transforming the product from a powder to a cream-like state. One of the magic textures transforming!!!!! For some time now, a new water quality has appeared whose use is developing in various fields, including cosmetics. This is Kangen Water, also called"alkaline water", or"hydrogenated water". The principle consists in initially subjecting either city water or water obtained by reverse osmosis or by another filtration system to an electrolysis process which will rid it of its various elements and ions in solution, but also recharge it into electrostatically charged elements. Treatment by electrolysis is therefore carried out on purified water, in a cell containing two compartments separated by a membrane that lets the current through, but prevents the mixing of the transformed water at the cathode and anode. At the cathode a basic and chemically reducing water is formed. On the anode, acid and oxidizing water is formed. The first is recommended for drinking, the second, having disinfectant virtues, can be used for personal hygiene or for disinfecting objects. Depending on the final ionic charge, the water may have different pH values, from very acidic to alkaline. The qualities put forward are the alkaline qualities that some call therapeutic waters. Acidic qualities are considered more suitable for domestic work. The properties that are loaned to this water quality are: - its alkalinity, - a high antioxidant power, - micro-structuring or"hexagonal water". Its alkalinity would allow to fight effectively against acidosis, general process concerning the human body, its antioxidant power to fight against free radicals, and micro-structuring would allow a better assimilation of water not tissues. This process initially arrived in Asia, Japan and Korea, and has been developed in recent years mainly through the efforts of certain companies producing equipment. This is the case of Enagic company which proposes devices allowing the production of these qualities of water. Idrogen is also a device supplier. In this movement, many devices are proposed whose operation or characteristics are to be specified. The opinions are very divided on the properties of these waters. On the one hand, there are those in favour of this approach who praise its merits, even though it has so far not been formally demonstrated. On the other, positions which question the confusion between alkalinity and effects, on micro-structuring or on the ionic nature of these waters. A recent release suggests a moderate effect on the aging of an animal model, perhaps by hormesis effect. In cosmetics, these specific waters are still little used. To date, the only significant development is a product entitled"Hydrogen water" by the Perricone brand, a well-known cosmetics brand. Although these are beverages, and not products for topical application. The Idrogen brand offers some topical products. As presented in the various supports, the interest of this type of water for cosmetic products remains to be confirmed. Indeed, acidosis is not a process affecting the skin, or much less than for the body in general. Indeed, the characteristics of the skin are rather oriented towards acidity (pH of the acid skin coating), certain skin problems being associated with an alkalinization (oxidative decarboxylation, thus alkalinization in certain skin pathologies). Free radicals can be trapped with highly effective substances. Finally, the hydration of the cutaneous tissue is not done by water but by the regulation of the hydric flow. But let us not doubt that creativity raise these objections!!!!!! If we are talking about hydrogenated water, it would be a shame not to add a few words about its counterpart, which is hydrogenated water. Although its uses are relatively uncommon in cosmetic formulation, hydrogen peroxide has strongly contributed to the cosmetic industry through one of its whitening properties. It is thanks to her that hair colouring techniques have opened up to other approaches than the use of vegetable dyes. The era of modern colouring began in the 19th century. At that time, hair was still only a hollow tube that could be dyed on the surface, but into which it was unthinkable to introduce anything to fix the colour. The solution came with the discovery of organic dyes. But another first changed one of the most common practices hair bleaching. If, since Antiquity, we knew how to lighten or on the contrary darken hair with plant decoctions, in 1818, a French scientist, Louis-Jacques Thénard, discovered hydrogen peroxide. This substance will become very common in hair dye. Indeed, the melanic pigments of the hair cortex must be modified more or less partially to"lighten" it. This action is possible with oxidants and hydrogen peroxide has become this oxidant. This bleaching action is completed by oxidation in situ of organic dyes. This allows to obtain a tenacious coloring, and especially to give a coloring different from the basic coloring of the hair. As early as the 1860s, hydrogen peroxide bleaching solution (fountain of youth water) was traded, but it was not used for aesthetic purposes until 1879. Hydrogen peroxide is a chemical compound of the formula H2O2. 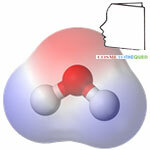 Its aqueous solution is called hydrogen peroxide. Historically, hydrogen peroxide is prepared by electrolysis of an aqueous solution of sulfuric acid or ammonium bisulfate (NH4HSO4), followed by hydrolysis of the peroxodisulfate S2O82 formed. Currently, hydrogen peroxide is produced almost exclusively by the self-oxidation of 2-alkyl anthrahydroquinone to 2-alkyl anthraquinone. This process is called"anthraquinone process". Hydrogen peroxide is produced not only by micro-organisms but also by enzymatic proteins. Apart from its lightening properties, hydrogen peroxide is not commonly used in cosmetics. To finish, a little wink to famous Waters. The first concerns the famous Precious Water Spender who continues to experience permanent success despite his age which is beginning to become canonical. The Precious Water Lotion is used to eliminate impurities, dead cells and absorb excess sebum from blemished skin. What the brand says: - Effective action: Precious Water promotes the elimination of impurities, dead cells and excess sebum in a fresh and light gesture. Combining antibacterial and exfoliating properties, Eau Précieuse lotion has no equal to help you fight against small skin imperfections. Very soft, it does not attack the epidermis and leaves the skin fresh and purified. - Proven properties and active ingredients: Lotion recognized for skin with acneic tendency, its formula based on salicylic acid and boric acid allows a double action: purify the skin by eliminating impurities and excess sebum and purify it by promoting the elimination of blackheads and pimples. It leaves the skin cleansed and purified of dead cells and excess sebum. Precious water in a few key dates : - 1890 : Birth of the Eau Précieuse Dépensier lotion designed to relieve leg aches and skin diseases. 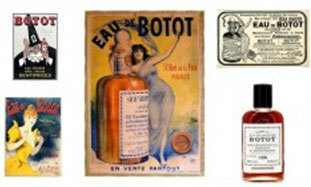 - 1927: The Charles Roux laboratory buys the Eau Précieuse lotion. - 1942 : L'Eau Précieuse Dépensier is granted the status of drug dedicated to the treatment of skin problems. - 1950: the brand launches its first radio spot to promote the benefits of the product. - 1982 : Eau Précieuse arrives on our TV screens with a campaign that highlights its"calming, tonic and refreshing" properties. In the early 2000s, his slogan became"Eau Précieuse, un secret qui se transmet de mère en fille". - 2004: Omega Pharma Laboratories France buys the lotion. - 2010: L'Eau Précieuse celebrates its 120th anniversary. Developed by pharmacist Charles Dépensier in 1890, Eau précieuse, the lotion dedicated to imperfections or acne-prone skin, celebrated its 120th anniversary in 2010. For the occasion, she dressed in a collector's bottle. Limited to 100,000 copies," Precious Water collector 120 years " finds his original glass bottle, silkscreened with silver bubbles. See also the site water-precious-mom told me On this site, Internet users freely exchange their grandmother tips, home-made remedies and other beauty tips. List of ingredients Aqua, Boric acid, Salicylic acid, Glycerin, Tannic acid, Propylene glycol, Eucalyptus globulus leaf extract, Parfum, Eucalyptol, Menthol. - Do not use in children under 3 years of age. Regulatory note Because of its drug status, Eau Précieuse Dépensier is outside the scope of the Cosmetic Products Regulations, the restrictions on the use of boron and its derivatives do not apply to this product. The story of the second famous water is told by Céline Couteau and Laurence Coiffard . Botot's water is not from the first youth since it was born in 1755. This product has just been relaunched! This inventory, which cannot claim to be exhaustive and to cover all types of water and all types of product, is nevertheless intended to provide a more precise idea of the uses of this all too often decried ingredient. This work only needs to be completed. Contribution made by Jean Claude Le Joliff A biologist by training, Jean Claude Le Joliff was an R&D man for many years. Successively in charge of R&D, then of Research and Innovation in a large French cosmetics and luxury group, and after an experience in creating a research centre (CERIES), he turned to innovation management. He has also been an Associate Professor at the University of Versailles Saint Quentin (UVSQ) and remains a lecturer in several specialized courses: ISIPCA, IPIL, ITECH, UBS, UCO, SFC etc. He is the founder of inn2c, an R&D and Innovation consulting company. Consultant for several international companies, he has actively participated in projects such as Filorga, Aïny, Fareva, and many others. He created the Cosmétothèque®, the industry's first conservatory of crafts and know-how. Acknowledgements to Jasmine Salmi of CosmeticOBS-L'Observatoire des Cosmétiques for the documentation work on the different types of water.